Pleasure to hear a true expert, who speaks modestly, with enthusiasm and direct language. I found this course to be of the utmost interest to me. The presentation was excellent. Mike Wakshull is a court-qualified forensic document examiner located in Temecula, CA. He partners with attorney clients to deliver results that often lead to early settlements in favor of the counsel who retained him. When cases go to trial, he presents them in jury-speak rather than techno-geek to educate the triers of fact. He applies his technical and science training to present a science-based approach to his opinions—a court requirement. Mike has authored two books on the topic of forensic document examination. He has presented at several international forensics conferences. A member of several industry-related associations, he serves of the board of two. Mike has had forensic document examination cases from fourteen states. Mike was chair of the 2012 National Association of Document Examiners conference, the 2014 Scientific Association of Forensic Examiners Conference, and the 2015 Forensic Expert Witness Association conference. 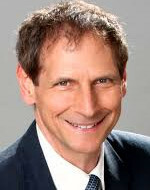 He has been qualified as an expert witness in California Superior Courts and Federal District Court, testifying in cases involving will contests, contract disputes and others. Questioned documents discovered include an altered deed, cut‐and‐paste signatures, altered mortgage documents, altered handwritten documents, electronic documents, and many other types of questioned documents. Mike is one of a handful of forensic document examiners with a graduate school certificate in forensic document examination from an accredited university. Mike is a member of the National Speakers Association. He was an invited speaker at the annual conference of the National Association of Document Examiners (NADE), Association of Forensic Document Examiners (AFDE), World Congress of Forensics in Chongqing, China, National Institute of Standards and Technology (NIST), and others.